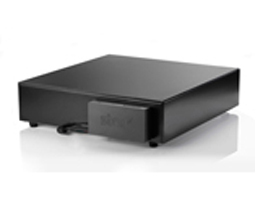 Star SMD2-1214 compact cash drawer integrates seamlessly into any retail or hospitality environment to complete a sleek and functional mobile point of sale. Star's Mobility SMD2 cash drawers give retailers the ultimate flexibility in providing their customers with a truly unique shopping experience. It supports wireless operation and allows the user flexibility in configuring their store layout without restriction due to wiring or other traditional infrastructure limitations. With the ability to communicate via standard printer driven interface with included cable or Star's DK-AirCash wireless option for WiFi, Ethernet, Bluetooth 2.1 or MFi certified Bluetooth communication, Star's Mobility SMD2 cash drawers enable secure cash management in any sales environment. 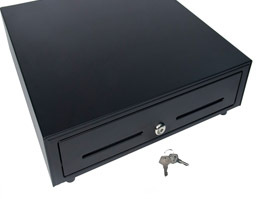 Star's SMD2-1214 is the most compact cash drawer in its series. 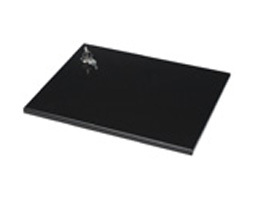 Perfect for space sensitive or low cash volume situations, the SMD2-1214 offers the functionality of a full-sized cash drawer combined with a space saving small footprint and connectivity options necesaary in a mobile POS environment. Star's DK-AirCash enables communication from your tablet device and mobile printer to the cash drawer. The DK-AirCash upgrades the existing cash drawer's interface from a 24V printer connection to an Ethernet, WiFi, Bluetooth or MFi Bluetooth connection. 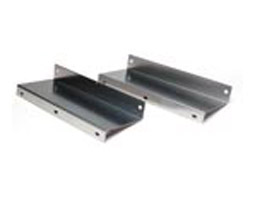 The Under-Counter Mounting Bracket Kit allows the cash drawer to be mounted under the counter creating more room on top of the counter for customer interaction and point of sale displays. 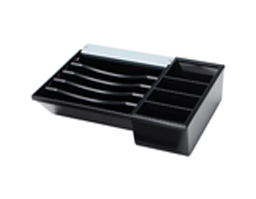 The Locking Till Cover secures contents of till during transport. The Y Cable Kit (3 cables) can be used to connect dual cash drawers to an Epson printer.